Everyone knows that overweight not only spoils the figure, but also causes irreversible harm to human health. Unfortunately, in today’s world, sticking to the principles of proper nutrition is not easy: we often snack on the run, swallowing fast food, and sports do not always have the time and desire. Many people confuse hunger with appetite and begin to eat even when they do not want to – just for a company or tempted by an attractive kind of food. “It happens that a person has had dinner, a feeling of fullness, but for dessert, he has cooked cakes or a roll,” explains the nutritionist. – If you are full, it is better to leave the sweet for later, but the brain works differently. We understand that cakes are tasty, and for us they are the logical conclusion of a meal. And instead of just paying off the hunger, we overeat. Probably, every person sometimes thinks: “This piece was superfluous!”. The expert draws attention to the fact that the feeling of hunger can not be left without satisfaction, but the appetite is more often deceptive. Before you bite off the cake or eat the remains of the casserole, which is a pity to throw out, ask yourself: “Am I really hungry?”. To maintain good physical shape and energy, experts advise drinking about two liters of clean water a day, but drinking water during meals is not only not useful, but even harmful to the body. The fact is that water is delayed by the stomach only for 10 minutes, and then goes further and takes with itself the necessary for normal digestion juices. That’s why water, tea, or coffee is better to drink half an hour before or after eating. Do not forget that coffee, fruit juices and any other drinks do not replace water: juices contain sugar, and coffee also dries the body. Some adherents of a healthy diet are convinced that the last meal can be made no later than 18 pm. Such statements are incorrect, moreover, almost impossible. The main rule that must be adhered to: you can have supper for an hour and a half before sleep. When a person goes to bed, his digestion slows down. If you ate immediately before you go to bed, the processes in the body will be violated, and dinner will remain with you in the form of extra pounds. There are after 18 hours you can not only if you go to bed at 19 o’clock. The damage to eating before or during sports training has long become a common truth: a stressed organism can not digest food during exercise. True, refresh yourself, while doing this on the simulators, it is not so dangerous as a snack in the process of mental activity – without detaching yourself from the computer or the book. On the brain, the body gives 70% of the energy – even more than during a sport! If you decide to have lunch, while making an important record at work, the food will not be absorbed and will be postponed by additional centimeters in the sides. Often in his aspirations to find the ideal figure, a person reaches the point of absurdity. Many believe that they can lose weight if they eat once a day. Others do it involuntarily: for example, after lunch, a blockage occurred at work, and there was no longer any strength for dinner at home. On the contrary, this way of life will inevitably lead to a quick set of kilograms. Not receiving food, the body gives the brain a signal about the crisis situation. The metabolism immediately begins to slow down, stretching the assimilation of food. Thus, a person who decided to lose weight by fasting can get the opposite effect. 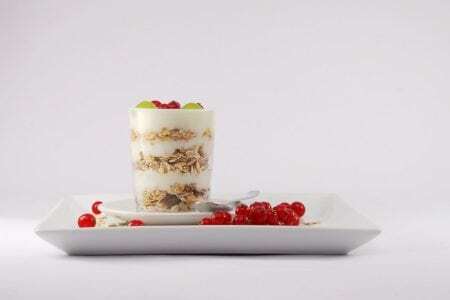 The nutritionist advises: how would you not hurry in the morning, be sure to take time for breakfast, because this is the most important meal. From the morning meal and from its composition depend your strength throughout the day. For a nutritious and healthy breakfast, oatmeal is best. Complex carbohydrates will work on the body for quite a long time, and before dinner you will not be tempted to make the wrong snack. In addition, the lack of breakfast negatively affects mental work. Finding the right power scheme is very simple. For this, it is not at all necessary to remember which beneficial substances and vitamins are in certain products. To get a balanced diet, you just need to pick vegetables according to color – the richer the palette, the better. Fruits and vegetables of different colors contain different nutrients. 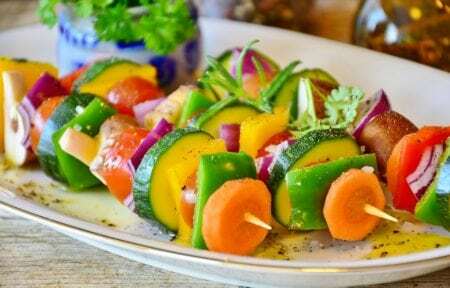 Take care that in your diet there are, for example, red tomatoes, yellow pepper, green cucumbers, purple grapes, white potatoes. The more flowers you “eat” the more vitamins your body will get. Now on the shelves of shops you can see a variety of products marked “0% fat.” Usually it is dairy products: yoghurts, cottage cheese, cheeses, cream. Absence of fats does not help in losing weight. As a rule, fat-free products are not tasty, and manufacturers try to compensate for this deficiency by adding various stabilizers, sugar substitutes and other carbohydrate-rich substances. Obtaining an excessive portion of carbohydrates instead of the prescribed portion of fats, a person will gain weight, and not lose it.